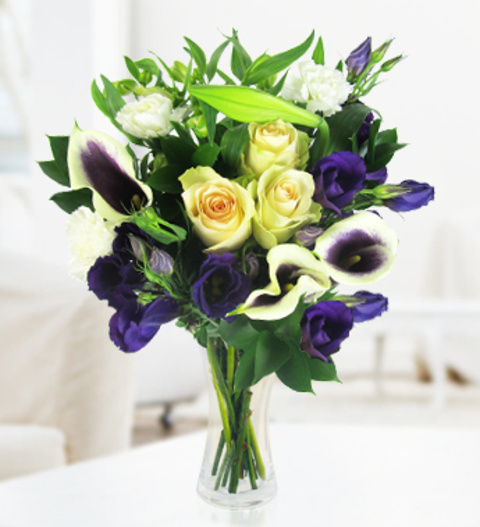 This gorgeous arrangement of Blue-and-white Calla perfectly matched with roses, lilies, carnations and Eustoma to give this bouquet real extravagance. The ideal choice for flower lovers and those extra special occasions. This arrangement is available for next day delivery.